2 Bedroom Detached Bungalow For Sale in Dronfield for Guide Price £200,000. Guide Price - 200,000 - 220,000. Blundells are delighted to offer for sale this nicely presented TWO bedroom bungalow with off street parking and garage in the ever popular area of Dronfield. 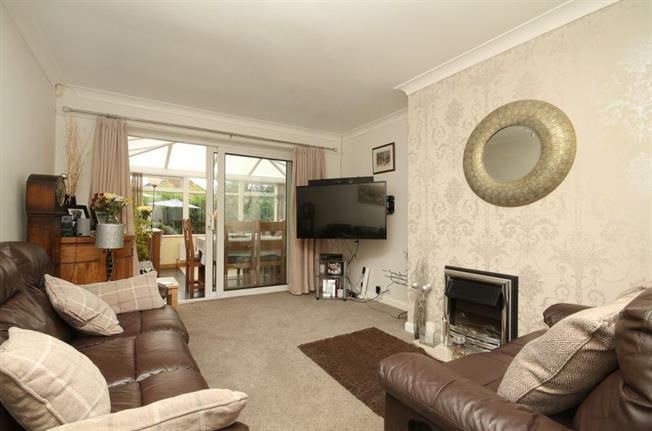 In brief the property comprises: Side entrance door leads into the hallway which in turn leads into the Lounge with feature fireplace and sliding door into the conservatory which overlooks the rear garden. The kitchen has a range of wall and base units including oven/hob. A family bathroom has low flush w.c, wash hand basin and shower cubicle. There are two bedrooms which both benefit from fitted wardrobes. To the rear of the property the garden is mainly laid to lawn.